These eight letters were written by Silas Leach (1836-1902), the son of Isaiah Leach (1786-1837) — a life-long school teacher and a teacher of music — and Eliza Kelly. Being only a year old when his father died, Silas and his four siblings were taken by their mother to Wilkes-Barre where she resided until her death in 1878. Silas was raised, in part, by his much older brother, George W. Leach, to whom these letters were probably addressed. 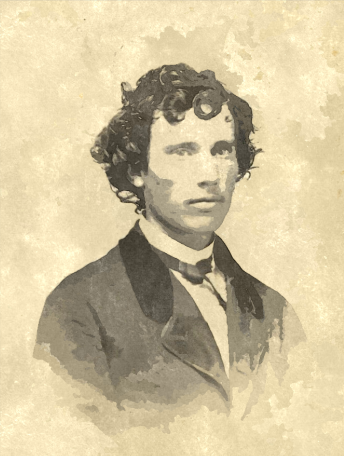 Not much is known about Silas prior to the war except that he traveled to the West in the 1850s and spent some time at Council Bluffs, Iowa in 1857. When the war broke out, Silas was a member of the Wyoming Coronet Band which was absorbed into the 52nd Pennsylvania (“The Luzerne Regiment”) in 1861 when they were formed and mustered in as the regimental band. 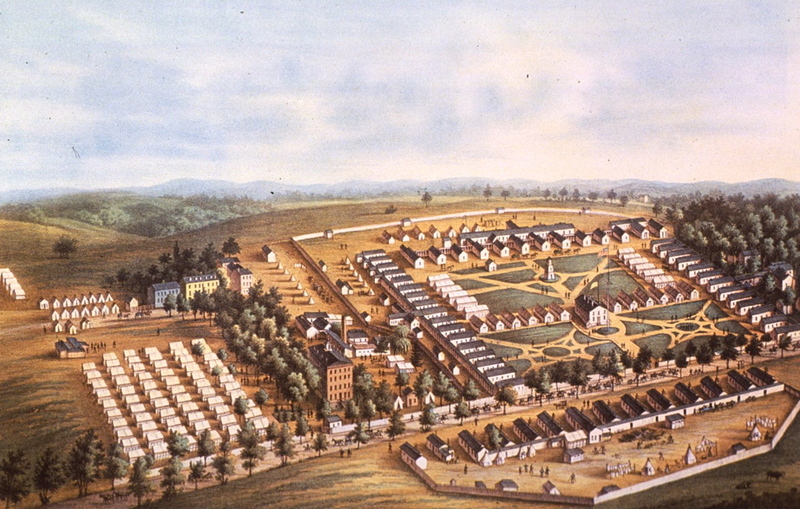 Upon arrival in Washington D. C., the regiment camped on Kalorama Heights north of Georgetown; then out on Seventh Street until about the first of January 1862 when the entire Brigade to which the 52nd Pennsylvania was attached went into barracks just completed on Fourteenth Street in the northwestern part of the city called Meridian Hill. The barracks were one-story frame buildings, sixteen feet wide by eighty feet long, each regiment having twelve. The band had one barracks all to themselves. In March 1862, the regiment was assigned to the 1st Brigade, 3rd Division, IV Corps of the Army of the Potomac. It fought in the Peninsula Campaign, seeing its first action at the Battle of Williamsburg. At the Battle of Seven Pines on May 31, the 52nd lost 129 men out of 249 men present, including three captains and two lieutenants. Company records indicate that Silas was discharged on 16 August 1862 by General Order with the other 22 members of the regimental band. 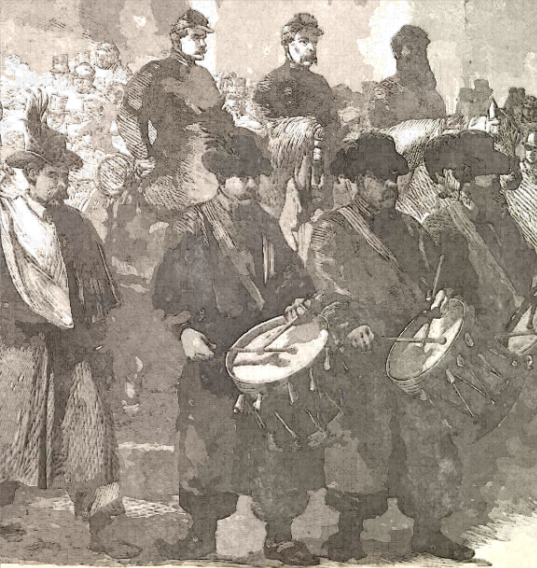 In fact, following the disaster on the Peninsula in the summer of 1862, it was decided that all regimental bands should be mustered out of the service and sent home. As John Hartland is going home today, I thought I would write you a few lines to let you know I am well and in good spirits. The only serious inconvenience I have experienced since I have been here has been from the cold nights. We have had some very cold nights. I take off nothing but my blouse and shoes when I go to bed and then throw my overcoat on top the bed clothes. Last night I slept very comfortably. Yesterday the band went down about a mile and a half from Harrisburg to an old farmer’s — an acquaintance of old Wagner — and got our dinner. We are invited out to dinner at another place tomorrow. We are never guilty of declining such invitations. I hear that Angelo Jackson is raising a company. I am sorry you ain’t in this regiment. Treat Camp is first lieutenant in a company here. He brought down fifteen or twenty men and joined a Capt. Cook. I believe their company is full. Camp feels his oats quite considerably. Capt. [Jacob] Rice is still here. His regiment is the 53rd. I suppose we will get away from here in the course of a week. Quite a little incident occurred the other day in camp. A barn just north of the camp took fire and about three thousand soldiers made a break right through the guard, went over and put it out. Quite a number of our band were prominent in putting out the fire and I attribute one invitation to dinner tomorrow to that fact. John Rohn, Bob Campbell, and myself being out on a prospecting tour after chestnuts did not have a chance to distinguish ourselves on that occasion. It appears that Gus Rush is first lieutenant of ____’s company. Bill Blair has no position whatever. Our band has quite a reputation and standing on the ground. We are inclined to think it is rather too good as it makes us in too great demand. I suppose you already know that ___ Conner has received an appointment as Capt. from Col. Gray of the Scott Legion. He said he had to raise but twenty men. If he can’t raise them I suppose he will be back again. I was up to the Insane Asylum a few days ago and went all through the male department. I did not see Scott Kidder ¹ and Geo. Chapman as they were out taking a walk. I bunk with John Hartland, Bob Campbell, & John Rohn. You can send back a few lines with Hartland and tell me the state of military feelings in Wilkes-Barre, and what the chances are for your getting a position. P.S. Since writing the above we have learned that we are going to leave this week in company with three other regiments. Consequently John Hartland is unable to get a furlough and I send this by mail. I have also received your letter per hand of __ Conner. It appears he has failed in raising any men. Yours, S. L.
¹ David Scott Kidder (1836-1881) was the son of Pennsylvania State Senator Luther Kidder (1808-1854) and Martha Ann Scott, daughter of Judge David Scott. Scott Kidder was confined to the Pennsylvania Insane Asylum for several years. He died unmarried in 1881. We started from Harrisburg last Thursday and arrive here yesterday afternoon. Thus being quite a long time on the road. We arrived in Baltimore early on Friday morning and marched through the city playing Hail Columbia. We stayed there several hours and see the sights. Baltimore is quite a city. We went around to the Union Association Buildings and had quite a good breakfast consisting of bread & butter, cheese, coffee, and cold ham. We enjoyed it very much. We started from Baltimore Friday afternoon and arrived in Washington about twelve o’clock at night. They have a very large building near the Depot for the reception of volunteers. The soldiers were all marched in, stacked their arms and knapsacks, then marched by a couple of companies at a time into another building nearby and had a cup of coffee and a chunk of bread and beef. Then went back and bunked down on the floor. We slept very well for the balance of the night. Got up about six o’clock yesterday morning. Got the same fodder for breakfast. From that time up to two o’clock in the afternoon we spent in looking around the Capitol building. I don’t know as I can say anything about the building that you have not already read about. There is an immense amount of work to be done before the building is completed. We could see General Lee’s house on Arlington Heights very plainly from the city. On our road here, we came right by the Hon. A. Lincoln residence — the White House. We were not close enough to notice whether there was anything remarkable about the building or not. About the time we started from Washington, it commenced raining and I can assure you, we had a delightful time putting up our tents and preparing for the night. We cut quite a large quantity of cedar branches. Got some straw and passed the night very comfortably. I got up this morning feeling very much refreshed. Today the sun is shining most magnificently giving a much more pleasant aspect to the state of affairs. We have just been to dinner. We had potatoes, corned beef, bread & coffee. We can see quite a large portion of Washington very plainly from our camp. The 104th Regiment Pennsylvania Volunteers are camped about five hundred yards from us. The 56th Ringgold Regt. New York just came in a few minutes ago and are preparing to camp along side of us. They are styled the Tenth Legion and number some 1600 men consisting of infantry, cavalry, & artillery. We saw quite a number of Rockets going up south of the camp. We intend going on the other side of the Potomac as soon as we get our wagons which will be in a few days. About all the band are writing letters today sitting around in all styles. I am sitting on the ground leaning against the stump of a tree. Charley Sutton is about ten feet from me writing on the he’d of a drum. You will direct your letters to Silas Leach, Care of Capt. G. R. Lenard, 52nd Regiment Band, Camp Kalorama, Washington D. C.
I wrote to you some time since and forwarded by hand of Mr. Hay. I suppose he delivered it. Very little of interest has transpired since then. About half a mile from here is a large parade ground where most of the reviews on this side of the river take place. A few days ago I witnessed a review of Gen’l [Erasmus Darwin] Keyes’ Division. 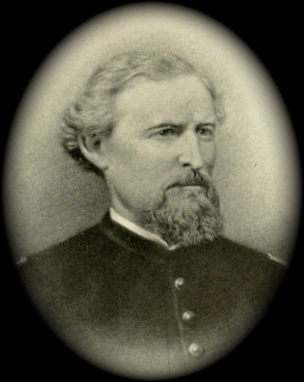 It consisted of four brigades and was reviewed by Gen’l McClellan and staff. It was a very favorable day for the purpose and quite a large number of the beauty and fashion of Washington was there to witness the scene. I stood quite near McClellan and had a good chance to see what he looked like. He is quite robust and appears as if he gets enough to eat. Wears a mustache and quite firm expression of countenance generally. Gov. [Edwin D.] Morgan of New York was there [and] also Mrs. McClellan. Mrs. McClellan is quite young and quite good looking. She attracted great attention from its being her first appearance in public since her arrival from the West. The only laughable incident that occurred was when the regiments were passing in review before the general, a drum major of one of the regiments was dressed up very finely and appeared as if he had a due sense of his own importance. When he got in front of McClellan, he gave his staff a pitch into the air intending to catch it when it came down. But unfortunately it fell in the mud and caused great laughter. 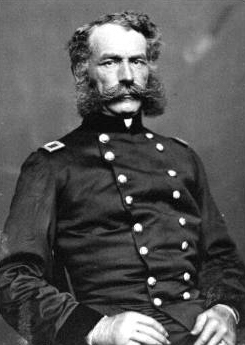 And even McClellan relaxed his countenance enough to smile. The whole affair passed off in very good style. Our regiment took part in quite a grand parade on Saturday last. There was two brigades out and were reviewed by Gen’l [Silas] Casey, then marched down to the city, passed through the principal streets, and then back home. Our regiment was paid off last Wednesday & Thursday. The band had to go down to the city with the officers to be paid. We only drew pay for the month of October. 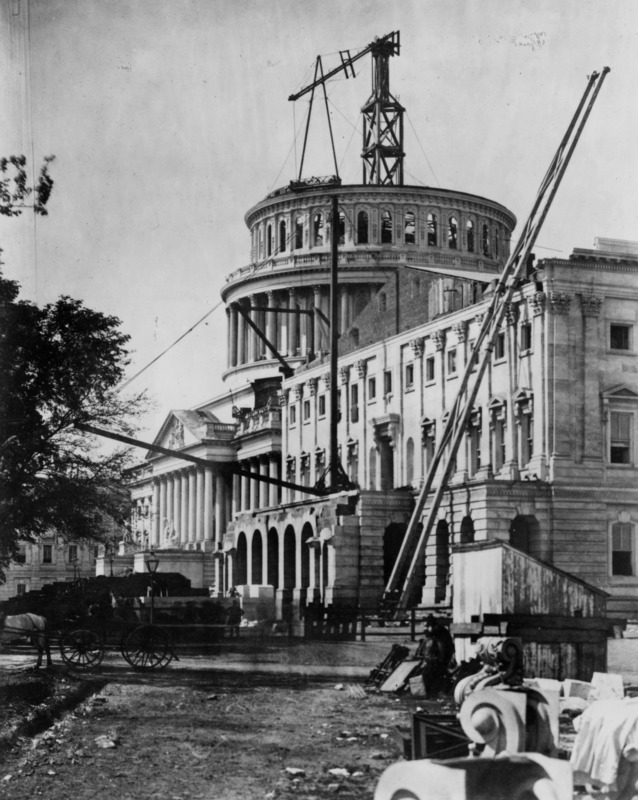 While in the city, [Charley] Sutton and I went to the Capitol expecting to see Congress in session. But as usual they had adjourned until Monday. We went into the President and Vice President’s rooms. They were splendid rooms. I recognized the Vice President Mr. Hamlin having seen him in 1856. Charley and I had no pass and had to do some pretty tall dodging to keep out of the way of the patrol. We finally returned to camp. Very glad to get back. We have become so accustomed to walking on the ground that walking on pavements tires us out very quick. Two or three of our members have been quite sick. Tony Brown was one. He is now getting along fine. Ed Mackin has been very sick but is now getting better. I believe the complaint is typhoid fever. We have had quite a number of visitors from the [Wyoming] Valley in the last few days. Charles Parrish was here today. Byron Nicholson and Sheriff [G. W.] Palmer was here a few days ago. And Preacher [Reuben] Nelson & wife yesterday. Squire Bauer comes up almost every Sunday. The squire is looking very well. I have not been sick a day since I left home. We got one new Horus on friday last. I forgot o mention that Col. [Hendrick Bradley] Wright was up here Sunday. Also Col. [Elisha B.] Harvey, Dad Speese and [Lt.] Charley Lane of the 7th [Reserve] Regt. They all look very well. Has Oliver got his pay from Speese yet? Your last was received in due time. We have not received the box as yet but expect to do so tomorrow. We got a box yesterday from the Ladies of Plymouth — mothers and friends of some of our band. We have had two splendid meals out of the contents thereof. Jack Gilchrist arrived here last night. You stated in your letter that you had sent me an accepted order on Capt. Spencer. The letter contained no order and I am glad of it as it is not at all probable that I will see him again — he being ten or twelve miles from here. Your best way would be to write him a letter telling him to send the money to some responsible man who would hand over the money to Oliver and get the order. We have had quite a number of visitors from the valley in the last month. We had quite full of men on Monday but wilted right off. It is now night. [John] Hartland and [John G.] Rahn are both writing and monopolizing the light. Therefore, I am unable to see the lines. The 53d [Pennsylvania] Regiment is on the other side of the river. Young Hopkins is First Lieutenant. We heard the report of the artillery at the Dranesville fight the other day. I am going to send this by Killen who leaves in the morning. My love to all. ¹ Camp Dodge was named after the Colonel of the 52nd Pennsylvania, John C. Dodge. Carver Barracks near Washington D.C.
Adjt. Pierson intending to start for home tomorrow, I write a few lines to send with him to let you know I am well and hearty. We have had very bad weather since coming into barracks — so much so that I have hardly been outside the house. It has rained or snowed every day. Mr. Riffard and his brother from Baltimore were here a few days ago and stayed all night with us. They chose a very bad time to come to look around as it was raining and mud knee deep all the time they were here. We were down town a few nights ago and serenaded at two places. Mr. True treated very handsomely at one place — had oysters &c. At the other place I had champaign, cakes, pies &c. The latter place was at Congressman [Richard] Brodhead’s of Pennsylvania. We went down in two -___ horse wagons. The mud was perfectly awful. Got back about one o’clock in the morning. We have some of the awfullest times here nights. Last night all the boys with the exception of two or three went to bed and were sleeping as on a bed of roses when the boys that were up commenced making a noise and got every fellow out on the floor with the exception of myself and bedfellow. I never heard such a noise in my life. It appeared as if Bedlam had cut loose. [Frederich] Wagner sleeps in the next room with the doorway open, there being no door. I don’t know what effect it had on him but I know it came near making me crazy. Charley Stookey was here yesterday. He has been out to Alexandria. He says he is going to work there. This morning the sky is perfectly clear, the air is cold, the ground is frozen. We expect the paymaster up tomorrow to pay off the regiment. All the rest of the brigade has been paid a couple of weeks ago. Our officers have been paid. The men have been greatly dissatisfied and if we don’t get paid tomorrow, I think there will be a muss generally. Since writing the above I learn that Pierson is not going home right off. Your letter was brought in about five minutes ago. Yours was received in due time. Our camp has been considerably excited the last few days with the report that we were under marching orders and were going to Kentucky.¹ Whether this is the fact is more than I can say but we all hope so. If we did go, I suppose we would have to go by way of Harrisburg to Pittsburg then down the Ohio. This trip would afford us a chance to see a large amount of country. If we don’t go on some trip of this kind, I think our chance of seeing the enemy will be very slim. And I would resign my commission. I should like to see the war brought to a close about the first of June as I should like to stay until the troubles are over. Adjutant [Nathaniel] Pierson returned this morning. It seems he used his gasticular abilities for your benefit. The idea of putting us in the ranks is perfectly ridiculous. I have no doubt that some of them would like to have the power to do it. But they can’t come it. I have no doubt that we could get our discharge at almost any time by applying to the Secretary of War. But the boys would rather await the action of Congress. You would laugh if you was here to hear the conversation that takes place. Sometimes the boys are very much down in the mouth. Talk about going home. At other times they feel very patriotic and wouldn’t go hence under any circumstance. The main trouble is we don’t have enough to do to occupy our mind. We have plenty to eat and drink. Our main trouble has been with [Frederich] Wagner. ² The boys thought he out on too many airs. And therefore made things pretty hot for him. He is now tamed down and acts a great deal more gentlemanly than formerly. [1st Lt.] Ed[win] Finch had a sword, sash and belt presented to him by the members of his company [A]. The articles cost seventy dollars [and] were presented on behalf of the company by Col. [Henry Martyn] Hoyt and rec’d on behalf of Finch by Maj. [John Butler] Conyngham. Finch is very well liked by his men. Gus Rush I think makes a good officer. He has applied himself to study and is very well drilled. Any man of ordinary capacity can soon learn all the movements. Treat [B.] Camp acted as adjutant during Pierson’s absence. His voice is rather weak. We get the Philadelphia papers here about ten o’clock in the morning. We have had quite a little snow storm this morning. The ground is covered with snow. ¹ Actually only ten men from the 52nd Pennsylvania were sent to serve on gunboats in the western river flotilla. Several of the men from the 52nd Pennsylvania were killed by an explosion on the Mound City in an engagement a few months later. 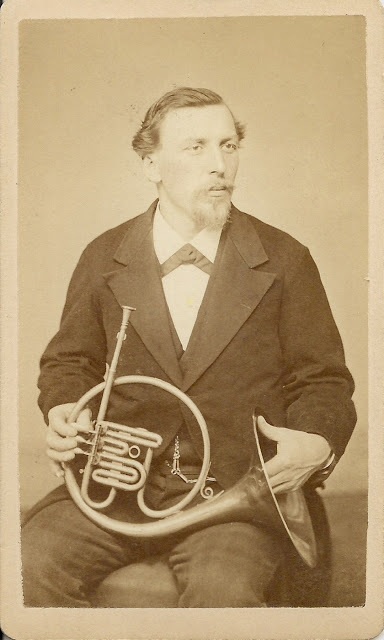 ² Frederich Wagner was born in 1818 in Württemberg, Germany and lived in Wilkes-Barre, PA for the 1860 census, where he listed his occupation as music teacher. 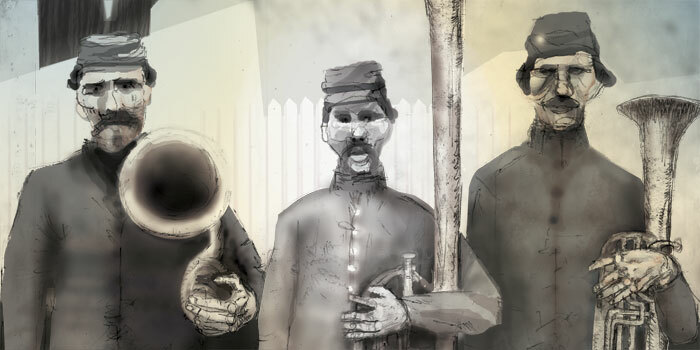 In spite of his age of 43, Fred enlisted in the 52nd Pennsylvania Volunteer Infantry. Fred survived the war and settled in Scranton as a music teacher, with his wife Wineta (a.k.a. Mina or Minie) and son Charles F. Wagner. Yours was received in due time. We have been under marching orders for several days. Today we received orders to have three days rations cooked. We start tomorrow at seven o’clock A.M. It is reported that we are to go to Alexandria by land, then join some expedition. Our regiment took quite a tramp yesterday. The men carried all their traps. We marched between eight and ten miles. The roads were bad in some places. I suppose you read of the advance made on Manassas and of finding the enemy “no whar.” Most of the men that went from this side returned. They made a pretty hard appearance, having camped out in the rain and mud without any covering. They all expect to embark in the present expedition. I suppose we must now expect to soldier in real earnest. Thus far we have had very fine times. I took a walk down to the city this morning. Having heard there was a painting of General Scott in the rotunda of the Capitol. ¹ I went to see it. It is a splendid painting. Perhaps you have noticed it mentioned in some of the papers. I think the legislature of either Virginia or Tennessee ordered it painted. But owing to the present troubles, it was never delivered. I also visited the government conservatory. It is a large glass building and kept at a certain temperature by steam pipes. There is specimens of flora plants from all parts of the world. The perfume proceeding therefore was delightful. Our band was presented with a McClellan [kepi] cap a few days ago. We now make quite a fine appearance on dress parade. The Potomac between here and Alexandria is perfectly black with vessels preparing to transport the troops. The weather today is splendid. The sun is shining brightly and everything appears favorable for a move. Heretofore we have made all our moves in the rain but I am hopeful that a new era has commenced. You needn’t write till you hear from me again. I will write as soon as we stop at any place long enough to permit me to do so. Judge [John Nesbitt] Coyngham, Capt. Dana and H. B. Robinson were here a few days ago. The 56th Regiment P. V. are camped near us. That Charley Marche from Kingston that use to work for you is in it. Capt. [John B.] Smith from Pittston is major. Jess Hay will hand you this [letter]. Regards to all the folks. March 19th 5 o’clock P.M. We were all packed up and ready for a march this morning when a dispatch team arrived and countermanded the orders for marching. We now expect to go tomorrow morning. We were very much disappointed as we had everything tore up. The camp has been alive with folks buying up the men’s refuse stock. We all expect to carry knapsacks, [Frederich] Wagner and all. Friday, March 21st. We are still here and it is altogether probable that we shall remain several days. Two years ago the authorities of the Virginia Military Institute requested Gen. SCOTT to sit for an equestrian portrait, to be placed in their Institute, and employed Mr. E. TROYE, the artist of the Dead Sea, the Bazaar of Damascus, and other well known paintings, to execute the work. 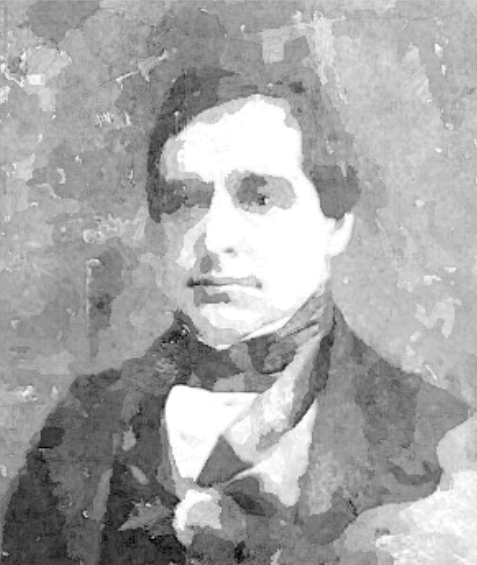 At the same time, distinguished Virginians requested Mr. TROYE to paint another picture, to be purchased by the State of Virginia. Gen. SCOTT, at great personal inconvenience, recalled an intention he had expressed not to sit for a portrait, and not only sat, but mounted a horse, resembling one that he rode at Chepultepec, and devoted much of his valuable time, when his health was greatly impaired, to the artist’s studio and labors. Both pictures were completed, when the rebellion broke out, and Virginia refused to take them. One of the pictures is in the Rotunda at Washington; the other, a magnificent historical portrait of the General at Chepultepec, some nine by twelve in size, is at the rooms of the Chamber of Commerce, where it will be seen by the members to-day. It is proposed by the merchants of New-York to purchase this portrait for a purpose that will undoubtedly meet with the enthusiastic cooperation of all our citizens. Your letter of the 15th was received last night. Began to think you wasn’t going to write. I sent ($50) fifty dollars by Express about the 15th. You enquire if any of the band are sick. In reply would say that I know of none that are at all dangerously sick. Bob Campbell has been at the Hospital at Newport News. I got a letter from him a short time ago. He had the Dysentery. Have heard since that all the sick had left that place for New York. Some of the rest have been grunting around but they are all right now. Frank Lehman has been at the White House [Landing] the last two weeks. He came back last night looking first rate. I read that piece in the Tribune but don’t know who wrote it. You wanted me to give you an account of the Battle [of Seven Pines]. That is unnecessary for John Hartland wrote to the Record a day or two ago and gives an account taken from Gen’l. [Henry Morris] Naglee’s report. I wrote one copy for the Gent. It is a very good thing and comes right out plain and square without regard to McClellan’s feelings. I see by the Record that the Ross Rifles were anxious to go into the tented field. Also noticed Oliver’s name amongst the list. Just tell Oliver if he has any regard for my advices, he will stay at home. I don’t say this because I am particularly sick of the business myself, but because I know he would be situated entirely differently from myself. We are exempt, in fact, from about all duties of a soldier, doing absolutely nothing. And I know Oliver well enough to know that after being a month in the service, he will feel like shooting himself to get out of it. It is far different here to what it was in Washington. There we could keep ourselves tolerably clean. But here it is almost impossible for a private to do so. If Oliver was here a day, I could show him enough to banish and scatter all his patriotism to the four winds. You say there was a circus in town. They boys here all say that “This is the biggest traveling circus they ever saw.” In regard to the disposition of the band, nothing will be known or done until after Richmond is taken and the Lord only knows how long that will be. The Pennsylvania Reserves are all here now. Our Division is left in the rear. 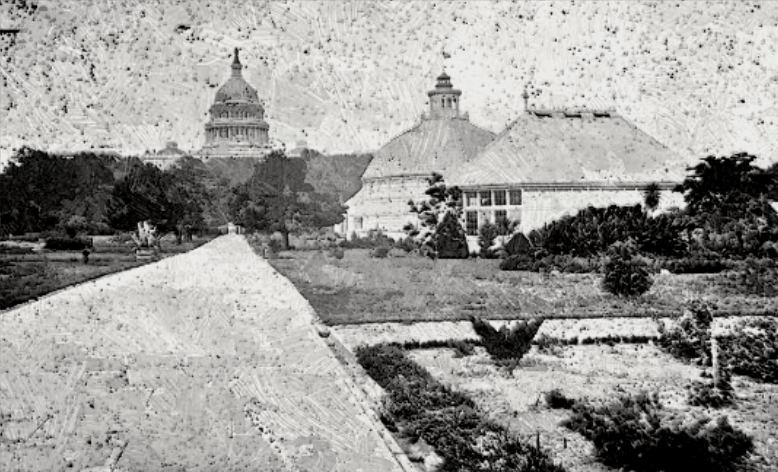 It was reported that McClellan was going to inspect — or rather review — our Brigade this week. I wouldn’t give much for all the cheers he gets. We had a tremendous thunder storm last night. The rebs make an attack on our pickets. Heard cannonading and musketry early this morning. No doubt you imagine that our army is much nearer Richmond now than at the time the fight first commenced. But this is not so. Our regiment was just as far advanced three weeks ago as the whole grand army is now. Hoping to hear from you more punctually in the future.